After the July 2015 nuclear agreement with Iran, DPRK remains the most vexing nuclear proliferation issue before the international community. 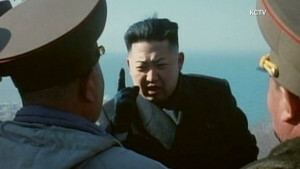 With the North Korean regime getting increasingly dependent on its ever expanding nuclear weapons programme for survival, disarmament of the Korean peninsula is rendered a faraway goal. This article attempts to understand how negotiations and dialogue, in combination with policy of diplomatic isolation and sanctions shaped North Korea’s nuclear arsenal as it stands today. On October 22, 2015, Pakistan Promotion Board (PPB) appointed Lieutenant General Naseer Khan Janjua as National Security Advisor (NSA) replacing Sartaj Aziz. Lieutenant General Naseer Khan Janjua, who retired in October 2015 was former chief of Pakistan Army’s Southern Command based in Quetta, Balochistan. This move no doubt reiterates the Pakistan Army’s control over security and foreign policy and further strengthens the military dominance in the country. Wearable Technologies are those technologies/instruments/equipment/gadgets which could help humans to carry out some of their functions more freely. The concept of battlefield has changed significantly over the years, mainly owing to the military technological revolution. However, emergence of wearable technologies as military tool should not be attributed to any such revolution. Wearable Technology is more about the smart use of existing technologies to assist humans to have more freedom of action. For a soldier any additional assistance – whether by way of wearable technologies or otherwise – on the battlefield is always welcome. 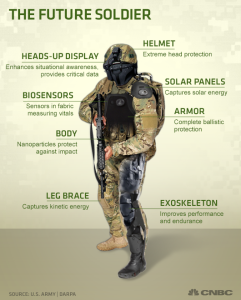 The nature of support provided by wearable technologies could be wide-ranging from protective body armour to artificial intelligence based tools for real-time intelligence sharing and decision support. This paper discusses Wearable Technologies and their relevance for a country’s overall security architecture. It attempts to identify and analyze the present and potential importance of these technologies for the 21st century warfare. The differences in the nuclear liability regime have been an important stumbling block in the operationalisation of the 2008 Indo-US Nuclear cooperation agreement. This fact can be gauged from the fact that between 2008 and 2015 not a single non-Russian nuclear reactor has been constructed in India during this period. 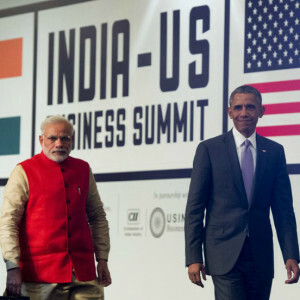 The successful negotiation of the Indo-US civil nuclear cooperation agreement in 2008 had resulted in a lot of hopes of investment flowing into India’s civil nuclear power sector. However, those expectations have not seen the light of day partly due to the differences over the Indian nuclear liability regime. In light of the above background, the article analyses the evolution of the international nuclear liability regimes. 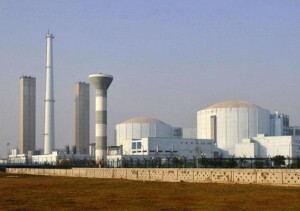 The article then draws a comparison between the established international liability regime against the Indian liability regime as enshrined in the Civil Liability for Nuclear Damage Act, (CLNDA), 2010. The strategic value of uranium remains pivotal to the nuclear industry. In particular, with India seeking to expand its civil nuclear sector an understanding of the export-import and production of this strategic commodity becomes essential. In this context, Prof. L V Krishnan reviews a report on ‘Governing Uranium in India’ by Rajiv Nayan from Danish Institute For International Studies. The Report serves as an extremely useful reference work as it provides extensive information on uranium production, import and use in India. Specifically, it describes in great detail the arrangements in place to ensure safety and security at all of the fuel cycle stages, in conformity with world norms. Much has been discussed about Japan’s Prime Minister Shinzo Abe’s weeklong visit to United States of America in April 2015.Defence agreements were updated and signed and apologies for war time aggressions were demanded. 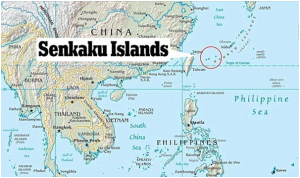 But a key issue that cropped up was that of the Senkaku islands. The article takes a look at the rising tensions between Japan and China while, assessing the American factor in context to the island dispute. Northern Shan state in Myanmar has been witnessing serious confrontation since 9 February, 2015, a few days before Union Day celebrations- when fighting began between the Kokang Army or Myanmar National Democratic Alliance Army (MNDAA) and the Burmese government forces. Kokang troops attacked Myanmar’s Army outposts near the town of Mawhtike. Kokang is one of the four self administered areas established in 1989 and shares borders with China’s Yunnan province. Myanmar’s President Thein Sein, has declared emergency (for 90 days) in the area until the middle of May. 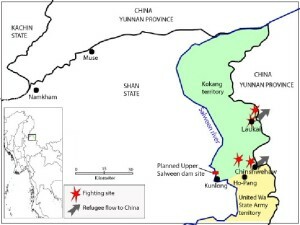 The article analyses how the internal conflict between Myanmar’s central government and the Kokang rebels has impacted China. In the contemporary context, with the onset of the Global War on Terror, Pakistan found itself becoming a frontline state. Despite these significant changes, the larger fabric of Pakistan’s strategic milieu and the power retained by the Army remains critical. The tendency of the Pakistan Army to retain its power vis-à-vis the civilian leaders forms the core areas of research in order to obtain a holistic understanding of this nation-state. 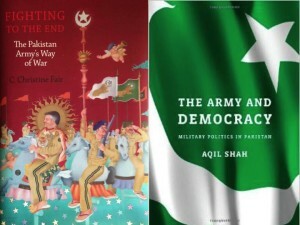 Two recent books, namely The Army and Democracy: Military Politics in Pakistan by Aqil Shah and Fighting to the End: The Pakistan Army’s Way of War by C. Christine Fair deals with the crucial theme of concentration of power with the Pakistan Army and its institutional culture. Ms. Ramya P.S reviews the two books by Aqil Shah and Christine Fair which deal with the Pakistan Army and its contemporary political environment. As we ring in 2015, a look back at the Top 10 analyses which were popular amongst our readers in 2014 is in order. All of us at ISSSP wish our readers a Very Happy, Healthy and Peaceful 2015.